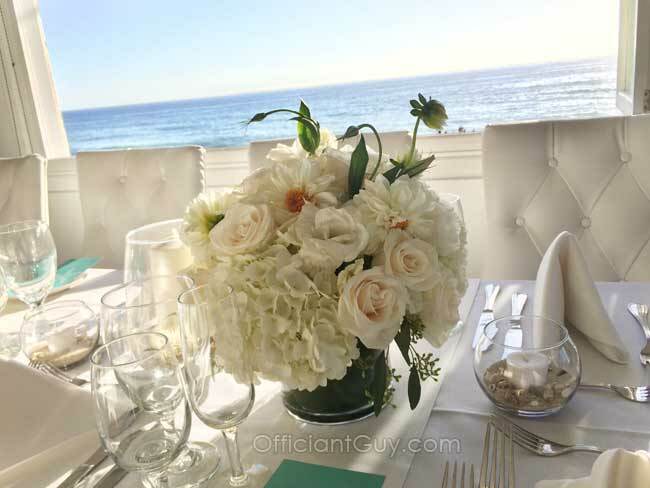 If you are thinking of having your wedding ceremony or reception at Shutters on the Beach consider the Officiant Guy as your only choice for your Santa Monica wedding minister. He travels all over Southern California for brides and grooms so that they can have the wedding of their dreams. 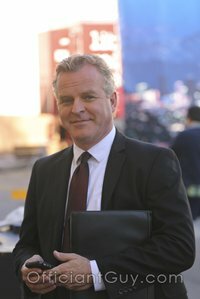 Chris is the most popular Santa Monica wedding minister who can provide you a Los Angeles marriage license. 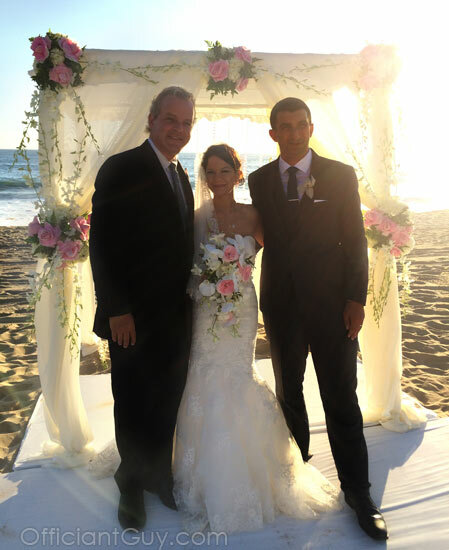 He has officiated dozens, if not hundreds of weddings at Shutters on the Beach, both formally and informally. The Officiant Guy after a beautiful Santa Monica wedding at Shutters on the Beach with the bride and groom. Traditional formal wedding not your style? 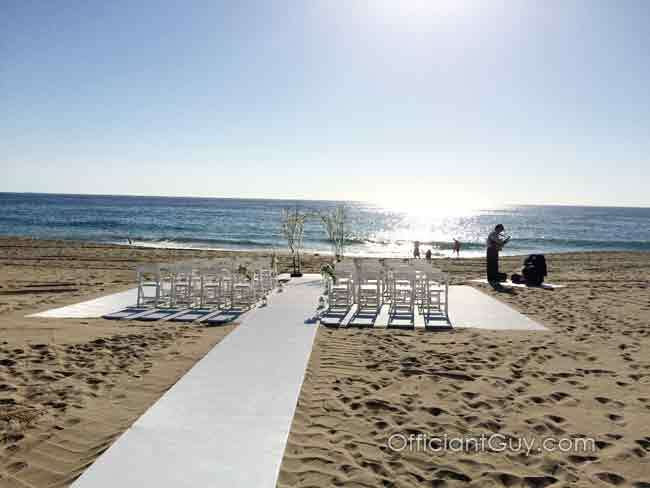 Say your ”I do’s” here with the sand between your toes. It’s one of the best Santa Monica Beach wedding venues. They have an amazing oceanfront view not far from the Santa Monica Pier. Choose from a variety of spaces to host your ceremony and reception, including the outdoor Pacific Terrace or the gorgeous Grand Salon with its large fireplace. For wedding receptions, Shutters offers different size rooms, all down to earth and alluringly embellished in pale pastels with one of a kind high-quality light installations. It’s the ultimate in beach sophistication. The Grand Salon is the biggest and most rich of the rooms, making a refined mood for weddings. Even though it seems laid-back, this is a full service, upscale wedding boutique hotel. Their wedding coordinators will help you make your wedding exactly how you imagine it. 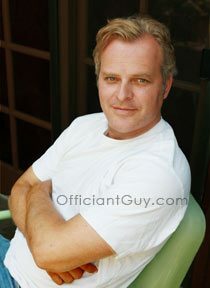 Let Officiant Guy be your Shutters on the Beach wedding officiant. Go to shuttersonthebeach.com to see more. So if you are getting married in your best choice for a wedding ceremony in exquisite Santa Monica wedding venues give this Wedding Minister Los Angeles a call now at (310) 882-5039 or (562) 547-3255.